After Zlatan Ibrahimović arrived at Manchester United on a free transfer from PSG at the start of the 2016/17 season, he started like a house on fire. He scooped up his first piece of English silverware with a late winner against Leicester City in the Community Shield. The 6’5 forward then went on to win two more trophies as the EFL Cup, and the Europa League made its way to the red half of Manchester. He scored 28 goals in all competitions with 17 of those coming in the Premier League, his maiden campaign in England. However, a nasty knee injury at the back end of the season saw his season finish early, and he decided not to renew his one-year contract. Jose Mourinho mentioned that there was an offer of the contract extension and upon consideration, the Swedish veteran has reportedly accepted the offer to re-join the Red Devils. But Manchester United have become a stronger side since he left, especially in the final third. The sensational signing of Romelu Lukaku from Everton has significantly bolstered their attack, making it much harder for Ibrahimović to force his way back into the side. At the age of 35, it would be unrealistic to think that the former Inter Milan striker will be a regular starter this term. He is expected to be injured until at least Christmas, which is extraordinary bearing in mind that his cruciate ligaments were severely damaged, which means he won’t be fighting for a start for a few months at the minimum. This begs the question as to what he will do when he returns to full fitness. One of the best options could be away from the pitch, and it involves the big ego and personality of the big man. A character like Zlatan very rarely comes around, and his experience is vital for developing the younger players at the club. When the time comes for Ibrahimovic’s dramatic return to Manchester United, it is anyone’s guess as to how he will be deployed. His playing style is far too similar to Lukaku’s so putting them both in a two-man attack would not work. 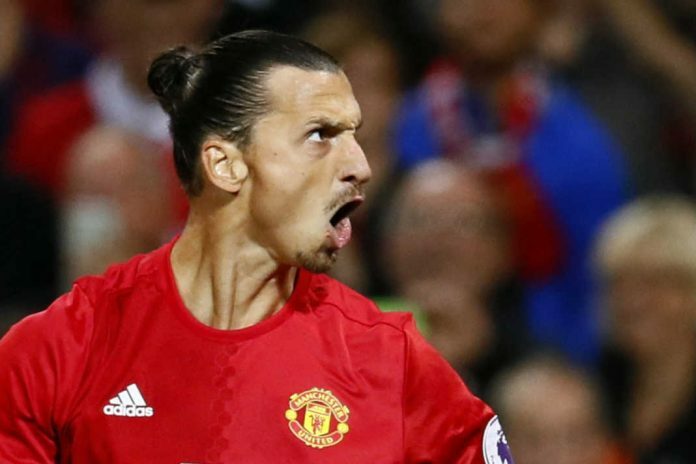 However, when played on his own last season, Ibrahimovic missed far too many chances, more than any other top flight player so it would be complimentary for him to be played alongside a strike partner. Although Anthony Martial has spent the majority of his time in England out on the wing, he could be the answer to this problem and his pace would work well with the aerial threat of the Swede. Marcus Rashford could also work in this role if Martial is chosen to play on the wings with raw pace and his ability in the hole behind a striker. While he wasn’t gone long enough to be missed at Old Trafford, if Manchester United do get the re-signing over the line, it could be massive for their chances of winning the Premier League title. Ibrahimovic’s character is good for everyone at Manchester United, good for the club’s general morale along with helping the younger players. An option for him to join the club on a coaching basis would also be beneficial for the club at the end of his playing days and should be strongly considered.